Skill and compassion go hand in hand when providing exceptional patient care. As a dental professional, I stay up to date on the latest advancements in dentistry in order to provide the most current treatment options for my patients. As a doctor, I recognize that my patients are unique individuals who have placed a great deal of trust in me and my team.That is just one reason why I value each and every patient relationship. 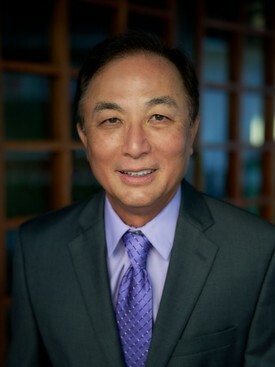 Dr. Ho has practiced dentistry in his hometown of Honolulu since 1981. He received his BA in psychology and his DDS from Creighton University. In 1990, Dr. Ho held the position of secretary for the Honolulu County Dental Society. He also served on that organization’s peer review committee for several years. In 1995, he became the chairman for the Hawaii State Peer Review Committee. Dr. Ho assists as a grader for the Dental License Board, and he served on the Dental Education Committee in 2000 to identify the most current seminars for Hawaii dentists. Dr. Ho attends numerous continuing education classes each year to keep his clinical skills current with the latest advances in dentistry. His specialties include dental implants, cosmetic dentistry, and general dentistry. He has attended courses at the prestigious Las Vegas Institute for Advanced Dental Studies (LVI) and Spear Education Seminars. To complete this advanced level of training, Dr. Ho attended several other high-level courses. Over the years, Dr. Ho has improved hundreds of smiles. He also educates other dentists by speaking to study clubs and conducting lectures at dental offices. In his free time, Dr. Ho likes to golf, jog, and spend time with his wonderful wife, Anne, his daughter Kristen, and his son, Gavin. Experience excellence in esthetic dentistry. Call our Honolulu dental office office at (808) 949-4288 to schedule your cosmetic dentistry consultation with Dr. Stephen Ho. We provide unmatched service and innovative dental solutions for patients in Honolulu, HI and surrounding areas.